High School Senior Pricing. When You’re Image is Everything. 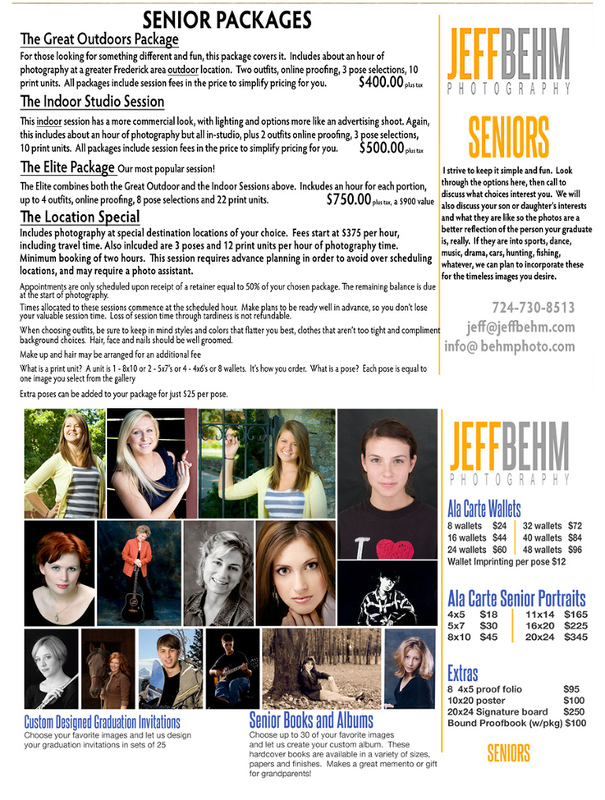 For the graduating senior looking for portraits that are about you, your activities, your life and what you enjoy, you really want to look into Jeff Behm Photography. No styrofoam numbers, lots of options, simplified pricing and your choice of locations available.